Happy Holidays from the IFF Family! Today marks the opening of an unprecedented retrospective where we celebrate the iconic portfolio of our master perfumer Carlos Benaim and recognize his 50 years of work at International Flavors & Fragrances. Carlos was born in Tangier, Morocco and later moved to France to pursue chemistry and engineering studies. His father, a pharmacist and botanist, showed him a classified IFF ad for a management training opportunity in Holland. “The history of perfumery over the last 50 years has been shaped in many ways by the hand of Carlos Benaim. 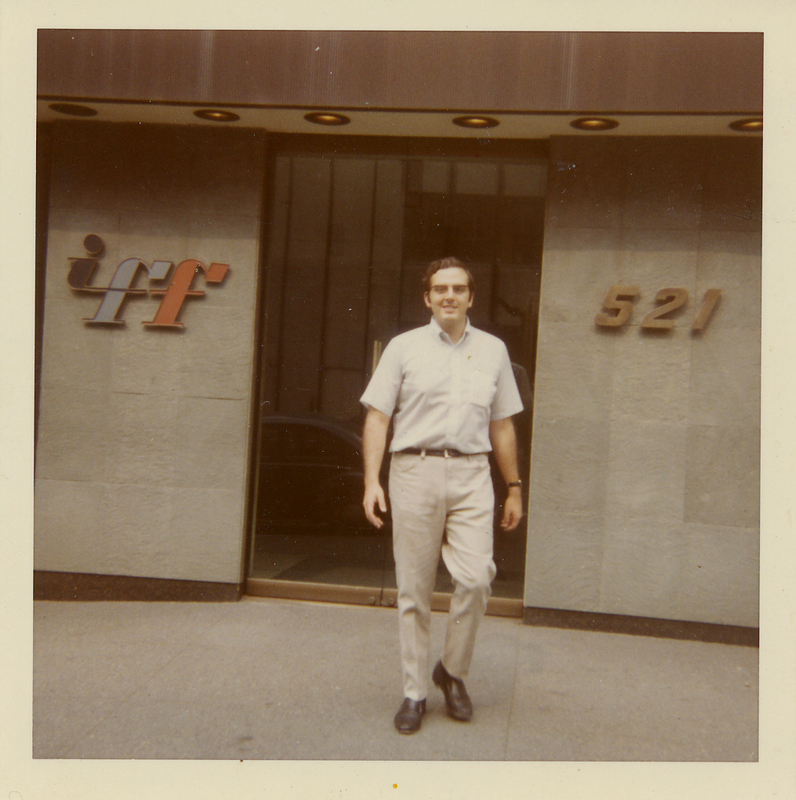 I consider it our greatest fortune that he chose to make his career with IFF.” - Andreas Fibig, IFF Chairman and CEO. 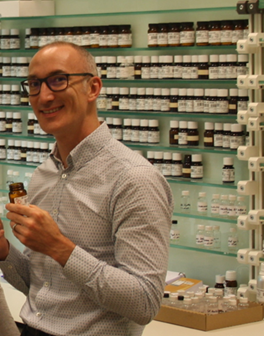 Explore Carlos’ personal journey and more of his experience as a perfumer in the videos below. Our culture has always fostered curiosity and empowerment – the ability to dream big and to see those dreams made real. Pioneers like perfumers Ernest Shiftan, Bernard Chant, Max Gavarry and Dr. Braja Mookherjee to name a few, worked alongside and influenced Carlos as his craft achieved greatness. His volume of fragrances, created either individually or in collaboration with other perfumers, have been olfactive breakthroughs for their brands. His signature fragrances – including Polo and Polo Blue with Ralph Lauren, Flowerbomb with Viktor & Ralph and Euphoria with Calvin Klein and so many more - have become market leaders and classics. With his natural openness and curiosity, Carlos is able to offer consumers a sensorial experience that transcend time and place, always fresh and relevant. He skillfully navigates the space between art and technology and uses it to unleash breakthrough after breakthrough. Humble and kind, he is an incredible force who has mentored generations of perfumers, and received the prestigious American Society of Perfumers Lifetime Achievement Award and the Perfumer of the Year, Lifetime Achievement Award from the Fragrance Foundation. 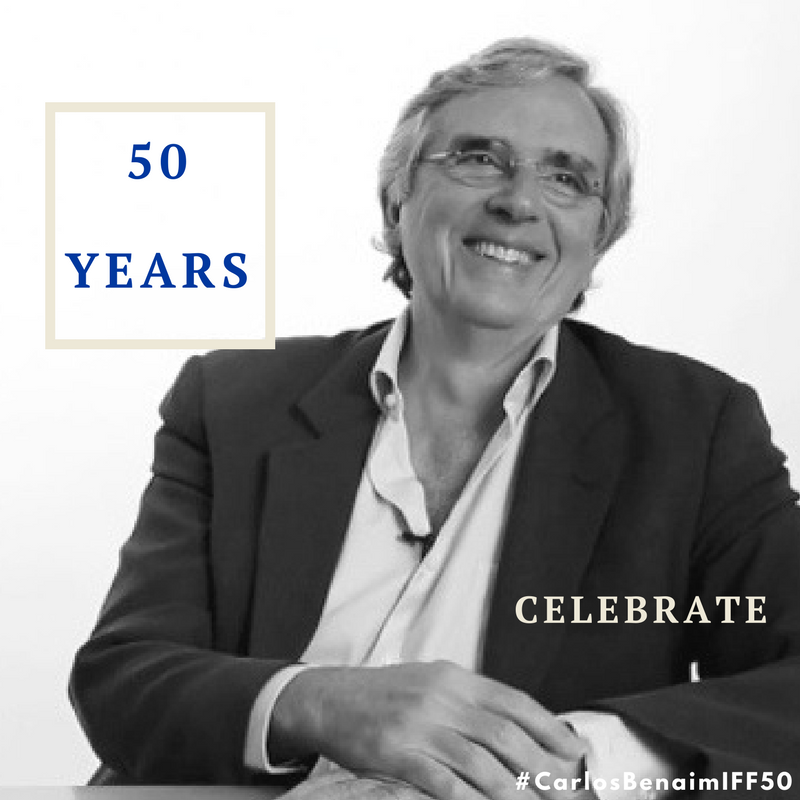 Please join us in congratulating and honoring Carlos Benaim for his powerful work and achieving this 50-year milestone at IFF! Jim Cramer, host of the CNBC show Mad Money, invited our CEO and Chairman, Andreas Fibig, back yesterday to tell him more about a few of our latest innovations. “We are pleased to report strong financial results in the third quarter,” said IFF Chairman and CEO Andreas Fibig. Investors are invited to join us for a live webcast on November 7, 2017, at 10:00 a.m. ET to discuss first quarter financial results with our management team at ir.iff.com. Our EVP, Chief Scientific & Sustainability Officer Gregory Yep, PhD, has been named the Flavor and Extract Manufacturers Association of the United States (FEMA) Excellence in Flavor Science awardee for 2017. Established in 2006, the award is one FEMA’s most prestigious honors and is given to globally recognized leaders who advance flavor science through original research and peer-reviewed publication. Dr. Yep joined IFF in 2016 and leads the Company’s global efforts in technological development, external collaborations, R&D and sustainability in support of IFF’s Vison 2020 business strategy. A 30 year veteran, he has held innovation and technological development positions in leading corporations and universities across the country and has championed R&D programs that bolster health and nutrition in food and beverage, especially in sports nutrition. A graduate of the University of Pennsylvania, Dr. Yep holds both a master’s and a PhD in Organic Chemistry from Johns Hopkins University. He is the originator of six patents and is widely published in academic journals. Please join us in congratulating him on our LinkedIn page! IFF is a company filled with remarkable women who have achieved great things in their careers. 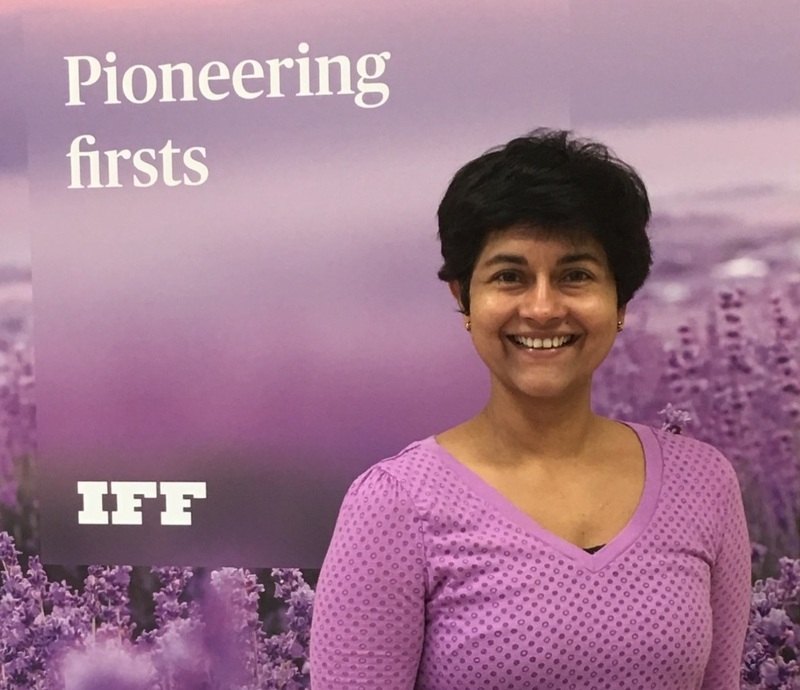 We hope you enjoy this profile of a true IFFer, Uma Parasar, Senior Research Fellow, Flavors. In her current role as a Senior Research Fellow in the R&D Flavors Team, she develops best practice strategies for new products and research objectives using safety as the benchmark for innovation. She builds bridges across global teams and functions, ensuring connectivity and prioritizing solutions that help differentiate IFF. With a passion for R&D, Uma strives for continuous growth in all aspects of her life. “I believe continuous learning is rewarding and it is important to go out of your comfort zone for growth,” Uma stated. 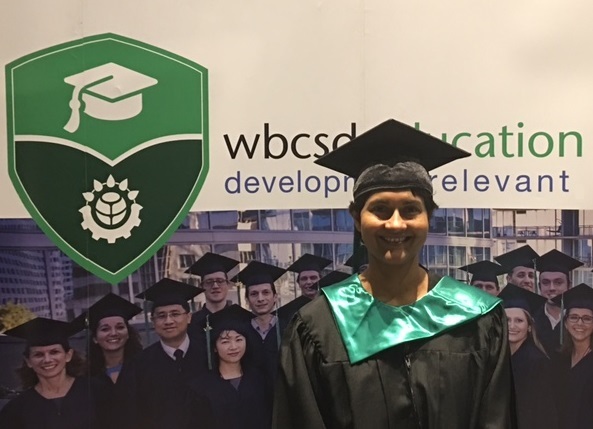 “At IFF such opportunities abound, you need to find the impetus within yourself to make it happen.” Putting her words into action, Uma recently completed the 2017 WBCSD Leadership Program, an opportunity enabled by our partnership with the World Business Council for Sustainable Development (WBCSD). 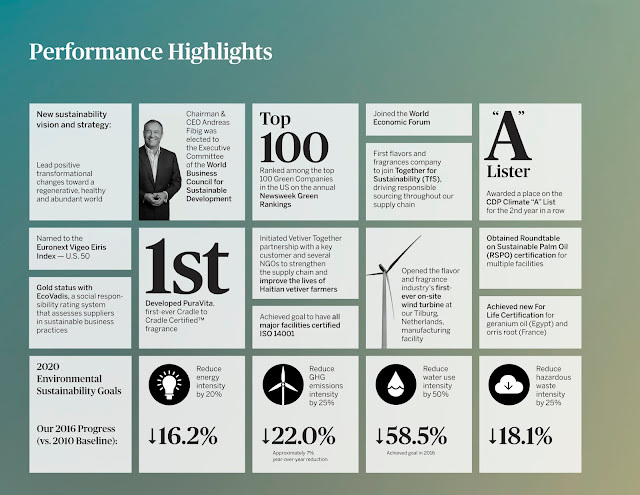 In 2015, IFF joined the WBCSD, a CEO-led organization of over 200 leading businesses working together to accelerate the transition to a sustainable world. In partnership with Yale University, the WBCSD hosts an annual leadership program for passionate individuals committed to a sustainable future. 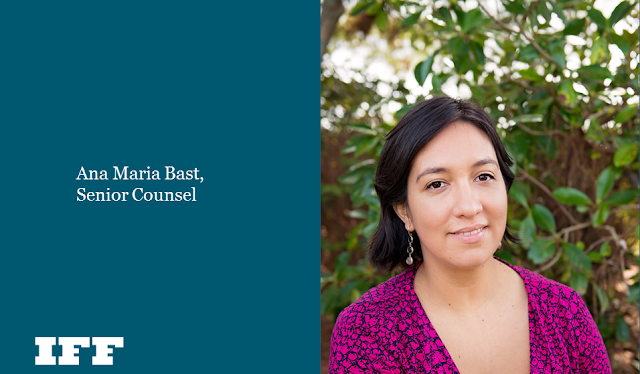 The 2017 program focused on integrating sustainability into business and fostered a collaborative environment for the diverse list of participants, including Uma Parasar. 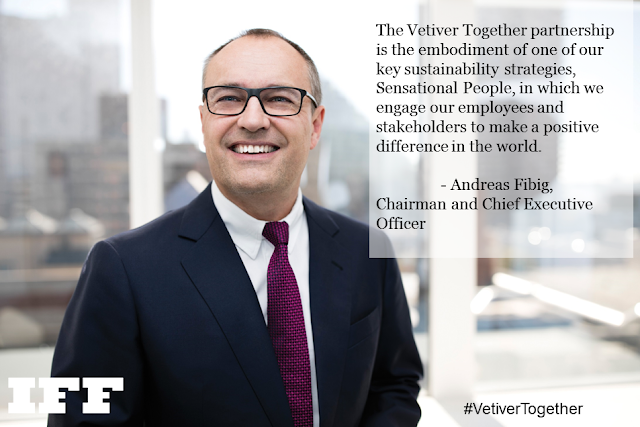 A key aspect of our sustainability vision and strategy, “sensational people,” highlights our commitment to employee engagement and education. Uma Parasar, a sensational leader in every sense of the word, is a wonderful example of our strategy’s execution. Now that she has completed the program, Uma will apply her knowledge internally and beyond, furthering the positive impact we can make together. 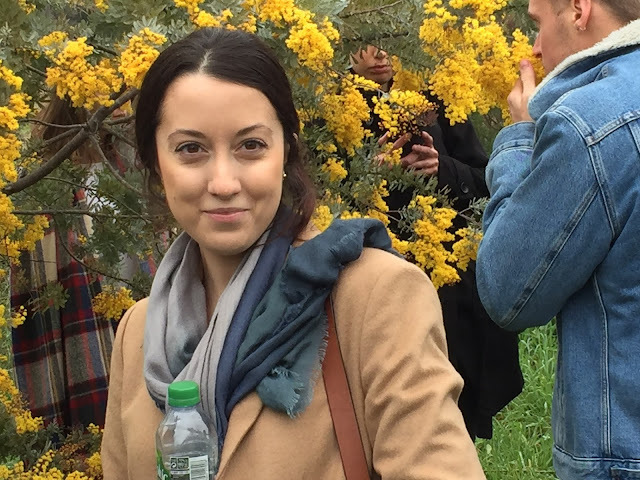 Please join us in celebrating Uma’s graduation as well as her commitment to making the world a more sustainable place; she truly is sensational. If you are interested in joining our sensational employees, visit our career page. For more information about our sustainability efforts, visit the “Sustain” tab on our website. Innovators reimagine our world through lenses of wonder. 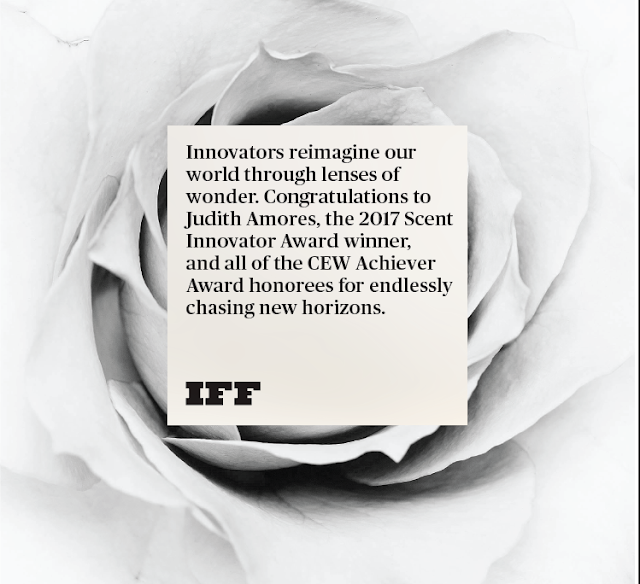 We are honored to launch the Scent Innovator Award with CEW, a reinvention of the previous Great Idea Award for Fragrance Innovation, which recognizes pioneers who passionately push the boundaries in scent research. This year we recognize pioneer, Judith Amores, and her creation Essence, the first olfactory computational necklace. To say Judith is a ‘futurist’ is an understatement. The doctoral student and research assistant to Founder/Director Pattie Maes at Fluid Interfaces Group, MIT Media Lab, and co-president of VRatMIT is already a maverick in the exciting intersection between our human experience and the multi-sensorial reality that can evolve from computer technology. Essence may look like a decorative vertical necklace, but it has the power to influence - or react to - the wearers’ mood by seamlessly emitting a scent. Able to be controlled remotely from a smartphone, the olfactory distribution can be varied in intensity and frequency based on data derived from the conscious mind of the wearer or from contextual input. 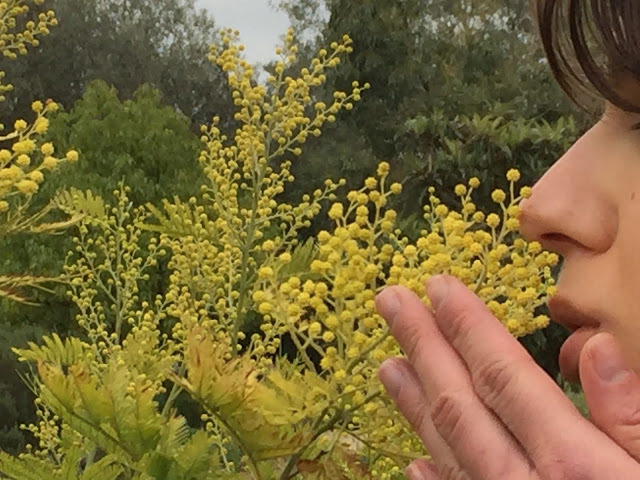 With her work in human computer interaction (HCI), Judith is driven to exploring ways to create multi-sensory technologies that react to - and evoke - different states of mind and consciousness. Combined with the power of fragrance, her research can have a significant impact on a consumer’s sensorial experience by modulating mood, cognition or behavior. Even though Essence is currently a concept creation, the potential for this kind of technology and HCI is untold. 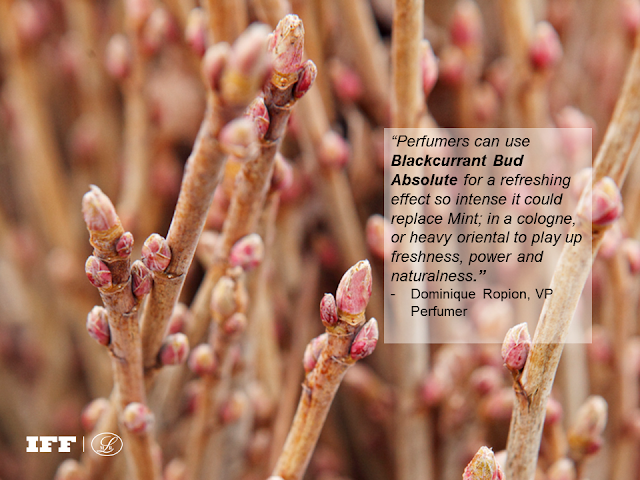 As Judith believes, scent has a hidden power in our behavior and consciousness. 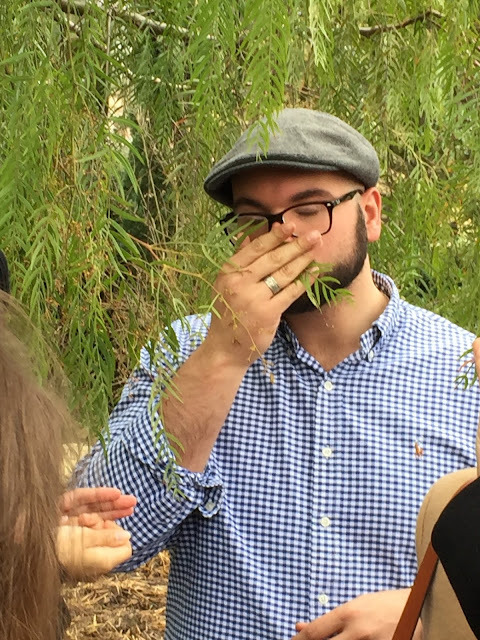 Basic and pervasive with its ability to evoke memories or emotions, our sense of smell is perhaps one of the most interesting phenomena in the human existence. Unlike other stimuli based on our senses, smells are channeled through portions of the brain that do not easily interrupt sleep. Ranging from holistic and well-being uses to fun and fantastical applications, Essence is the first wearable technology that is not based on site or touch, yet has the magnificent potential to create a bubble of influence for the wearer – whether asleep or awake. For our industry, this is virtually an untapped market. 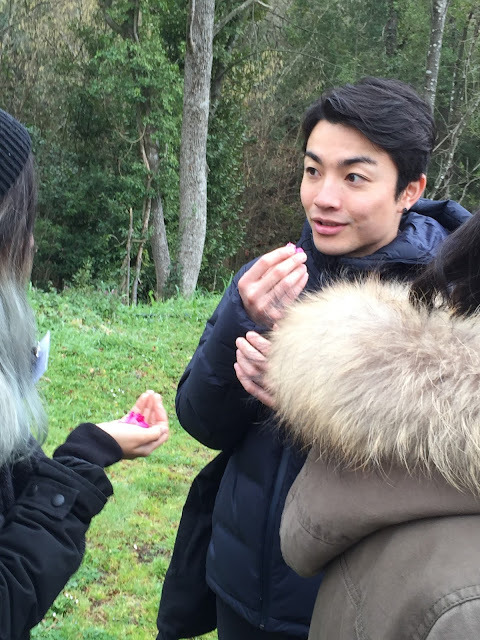 As a result of the evolving state of connectivity, wearable technology - such as Essence - can provide influential fragrance brands a direct access point to the mobile consumer. At IFF, we’re also exploring digitally enabled scent technologies as a true innovation driver. Always on the lookout for new partners and emerging talent, especially those committed to scent-based health and well-being experiences, we are thrilled to recognize Judith’s pioneering spirit with this 2017 Scent Innovation Award. 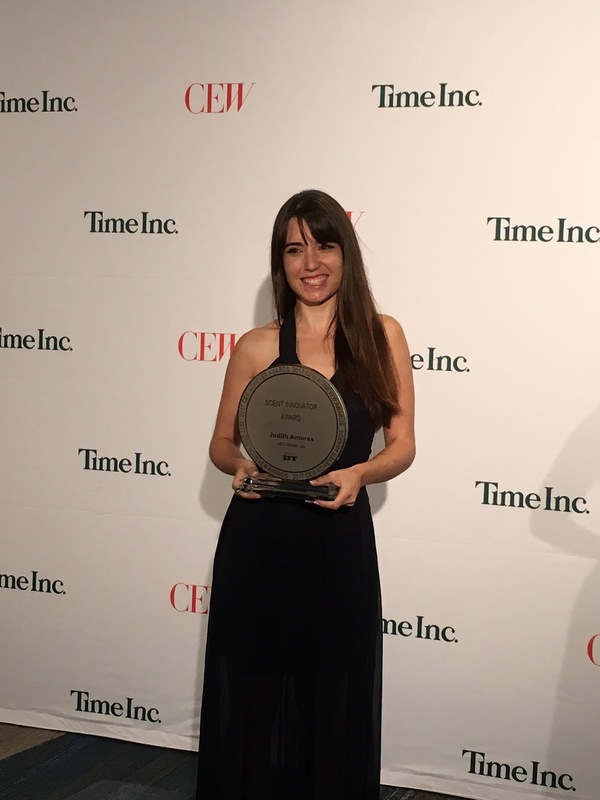 The CEW 2017 Achiever Awards Luncheon: Excerpt by permission from the author, Dionisio Ferenc Vice-President, Global Fine Fragrance at International Flavors & Fragrances, published in the CEW Award Journal on the occasion of the Scent Innovator award to Judith Amores on Friday, September 15, 2017. IFF is a company filled with remarkable women who have achieved great things in their careers. We hope you enjoy this profile of a true IFFer, Gladys Gabriel, Vice President, Global Procurement. Gladys Gabriel is the first woman to have reached the level of a chief procurement officer among the top flavors and fragrances companies in the world. Gladys received her BS in Chemistry at American University of Beirut, Lebanon, and an MBA at the University of Pennsylvania’s Wharton School of Business. She started her career as a research chemist at Unilever. 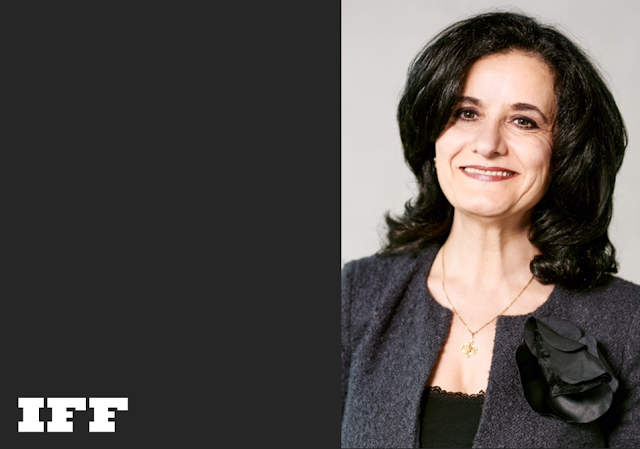 For more than 25 years, she has progressed in various R&D, sales and marketing, procurement and supply chain leadership roles at Rhodia, Clorox and, during the past 15 years, at IFF. Gladys is the inventor of seven scientific patents. In her current role, she drives procurement vision through her transformational management style, and aligns internal and external stakeholder processes to optimize efficiency, mitigate risks, and maintain sustainable sourcing. She focuses on developing the procurement talent pool and caliber to maintain IFF’s best practices and leadership for the long-term growth. Together with her husband of 29 years, Gladys has raised four sons, young men now with their own professional career paths. Recently, Gladys was honored with the Women in Flavor and Fragrance Commerce (WFFC) 2017 Nancy Poulos Leadership Award. The WFFC was founded in 1982 by women in the U.S. flavor and fragrance industry to serve as center of education, engagement and empowerment. The award was presented at the WFFC Annual Recognition Dinner last month in Jersey City, New Jersey. 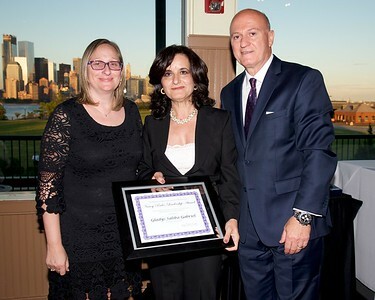 The award was established in 2015 as a tribute to Nancy Poulos Drevitson, past WFFC President and member of the board, who embodied what it means to be a leader, making substantial contributions and going above and beyond for an organization and an industry that was always close to her heart. Gladys stays true to this pioneering legacy and embodies the spirit of IFF. Please join us in recognizing Gladys’ pioneering leadership. What if you could swan dive into a pool filled to the brim with ice cream sprinkles? What if you could meet and greet life-sized gummy bears? Or swing inside and sniff an entire room literally filled with banana split? Or get away from it all at a melted Popsicle jungle? When Maryellis Bunn was a little girl, these are the sort of things she dreamed about. Today, those dreams have become reality. We are excited to share details from our one of a kind partnership between IFF and the Museum of Ice Cream, a pop-up sensorial experience designed to bring people together and inspire imaginative fun. The sold-out experience, launched in April in LA’s DTLA Arts District, runs through October 16, 2017. 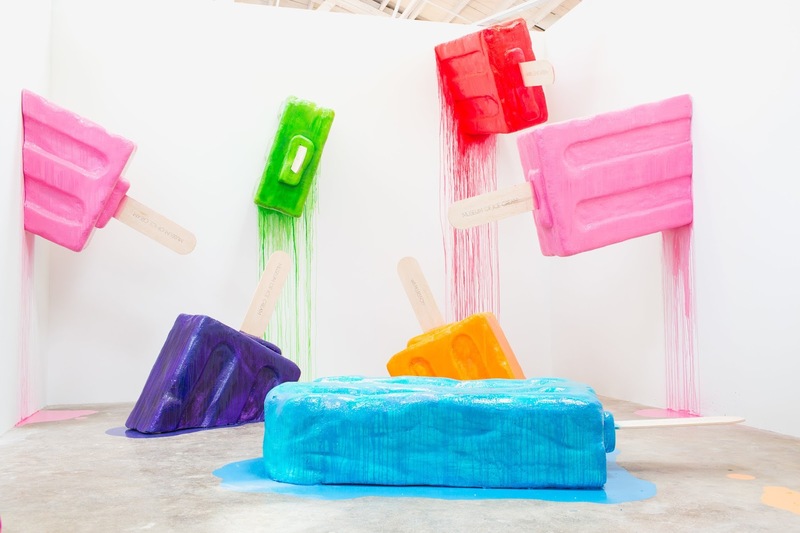 It features 10 ice-cream-centered installations with some incredible photo-ops and of course, plenty of curated ice cream tastings and complimentary ice cream to go. These installations include an interactive sprinkle swimming pool — filled with 100 million custom-designed sprinkles — a melted popsicle jungle and a fragrance room, which we created in collaboration with the Museum team. The pop-up had its first run in New York City last year and sold out 30,000 tickets in a matter of days amassing a waiting list of over 200,000 people. At the intersection of art, science and ephemeral play, it’s the perfect fodder for buzzworthy social media, quickly becoming an instant phenomenon online; the #1 trending story on SnapChat, Facebook, through over 100,000 posts with a billion-plus social reach. 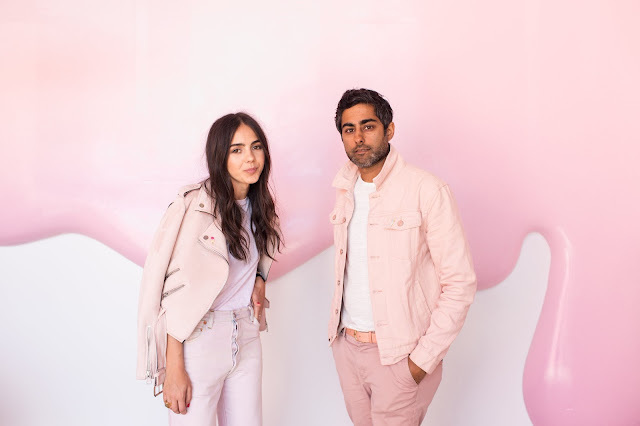 IFF: Maryellis, you were a creative strategist at Time, Inc. What made you and Manish, a former investment manager and CEO of Lightbox, leave that world behind? 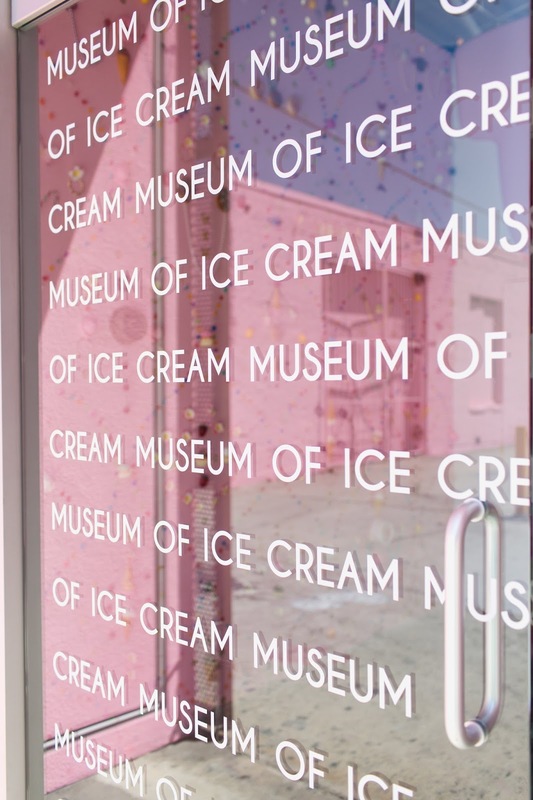 How did you end up creating the Museum of Ice Cream? Any notable visitors? MOIC Co-founders: We wanted to create a cultural experience that hasn't been done yet. We love ice cream. We love that ice cream is democratic, universal and delicious…there are no politics and no age restrictions, no limit to the imagination. The Kardashians, Gwyneth Paltrow, Chris Martin, Beyoncé, Jay Z, Katy Perry, Nicole Richie and more have all visited the museum. IFF: In our space, partnerships and innovative collaborations are key to shared success for those involved. What has been your approach to working at the crossroads of science and art, where the creative masters are explorers and dreamers like yourselves? Can you share some of your takeaways? MOIC Co-founders: There is a lot of innovation in ice cream making itself and we are exploring everything from AI to robotics in the Museum. IFF: You have mentioned elsewhere that the Museum was built with social first and meant to capture all senses. Can you describe what went into designing and executing an experience to be highly engaging and sharable online and sensorial? MOIC Co-founders: Social Media is bigger than media. It is the way we communicate, connect, consume….people love ice cream and are desperate for experiences. “Experience” is cliché but we certainly believe that our millennial culture is changing the demands for everything from your eating, entertainment, retail and cultural experiences. We ensured that all five senses are met when visiting the museum as well as a memorable experience with the people you came with. IFF: Do you have a favorite room in the MOIC? 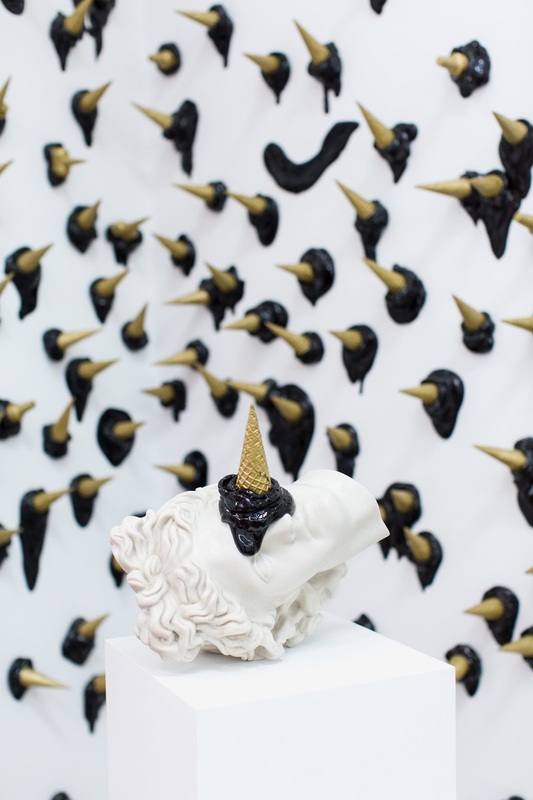 MOIC Co-founders: The Black Cone Room is my favorite, it features a dripping cone installation by Peruvian artist Abel Bentin complimented by edible black cookie dough cones. However, my favorite part of this whole thing is watching people experience it for the first time. This is a museum that I build out of my own childhood dream, I love when I hear that some of those dreams are shared with our visitors. IFF: What are some examples of foods, ingredients, and cultural ideas that have stood out as you’ve started to research and develop your concept? MOIC Co-founders: Everyone has an ice cream story, the subject matter resonates as it is loved by all. The Museum of Ice Cream provides visitors with an opportunity to create new memories while exploring all five senses. We have created a new platform that our visitors have never been exposed to - which is refreshing. 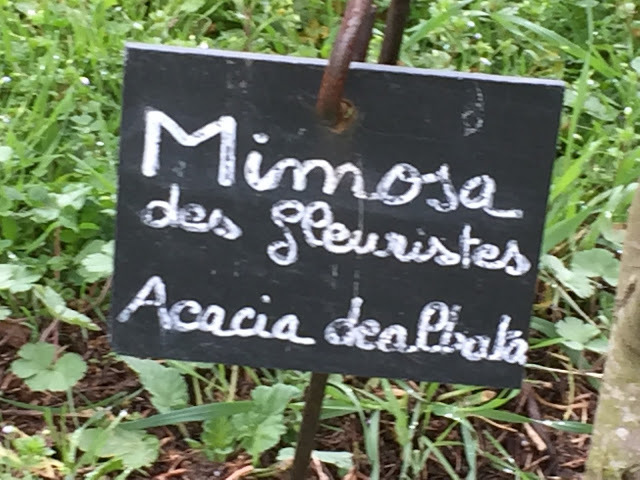 “In the frantic pace of our lives, today, more than ever, consumers are looking for multi sensorial experiences – an opportunity to escape the chaos of life and constant connectedness and to experience something that indulges the senses and creates a new sense of discovery. No matter whether it is a gooey soft serve or a deliciously rich dessert, perfected by a simple scoop of vanilla ice cream, new flavors and experimentation with toppings and inclusions are the new normal, recognized by the inflow of ice cream pop-up stores, artisanal and hand-crafted pops and unexpected flavors designed to delight and create the perfect #foodporn opportunity. Over 30 people within IFF were involved in the creation of the MOIC Blueberry French Toast flavor – from the Marketing team who track the trends and influence creative direction, to the Flavorists who made the initial creations to the quality control team who checked the product before it was shipped to the MOIC, the process of Taste Design ™ involves a skillful team of artists and scientists,” says Karen Stanton, Global Marketing & Branding Director, Flavors at IFF. Blueberry French Toast was chosen as it represented a truly unique ice cream flavor position but composed of familiar flavors which would not alienate the mainstream consumer. Several factors led to Blueberry French Toast becoming a designated MOIC flavors. Our proprietary research has found that consumers’ emotional state to have ice cream is driven by a desire to relax and indulge. This desire to indulge has led to consumer demand for elevated food experiences. Despite the desire for novel experiences, flavors must have a touch of familiarity to resonate and be accepted by consumers, as such Blueberry French Toast was chosen as it represented a truly unique ice cream positioning that suited all of these variables but was composed of familiar flavors which would not alienate the mainstream consumer. 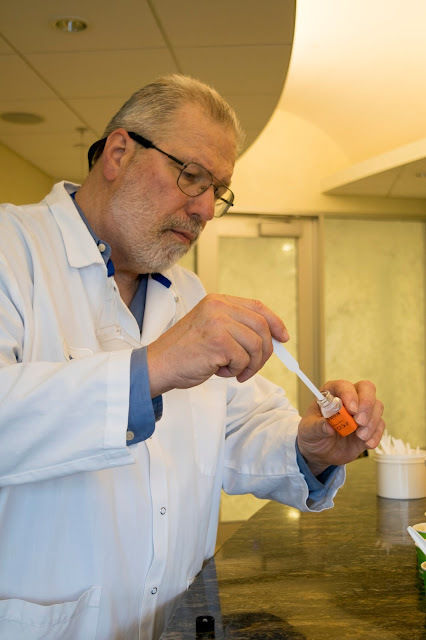 Principal Flavorist, John Yurecko, who designed the original IFF Blueberry French Toast flavor for the Museum of Ice Cream, applying flavor to scent strips. He was part of the IFF team who on the flavors for the museum collaboration. Three extracts from IFF LMR Naturals were used in the creation of this new flavor. 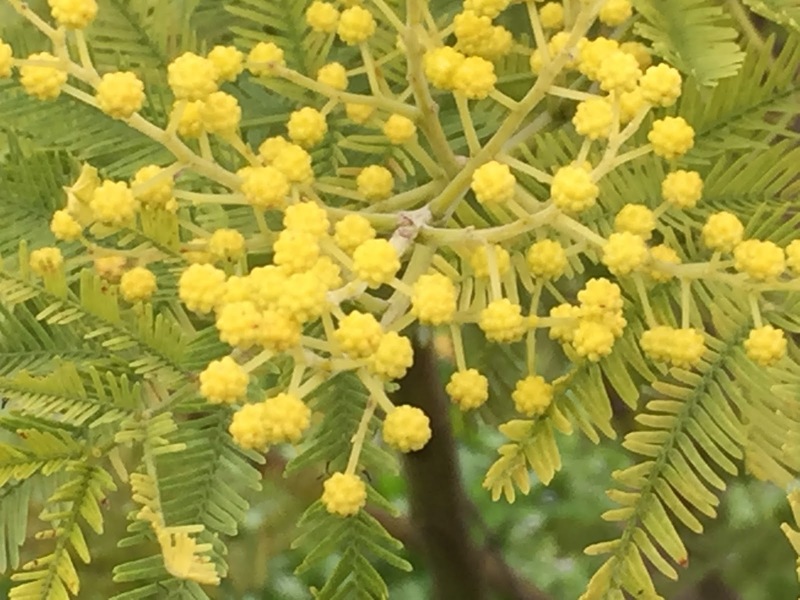 The IFF LMR catalog contains over 400 natural extracts from 120 families of botanicals. To formulate Blueberry French Toast, Black Currant LMR was used to impart a sweet jammy, profile with deep fruity tones, Osmanthus LMR for a very smooth fruity taste and Sage Clary LMR for a carmelic, fruity taste. 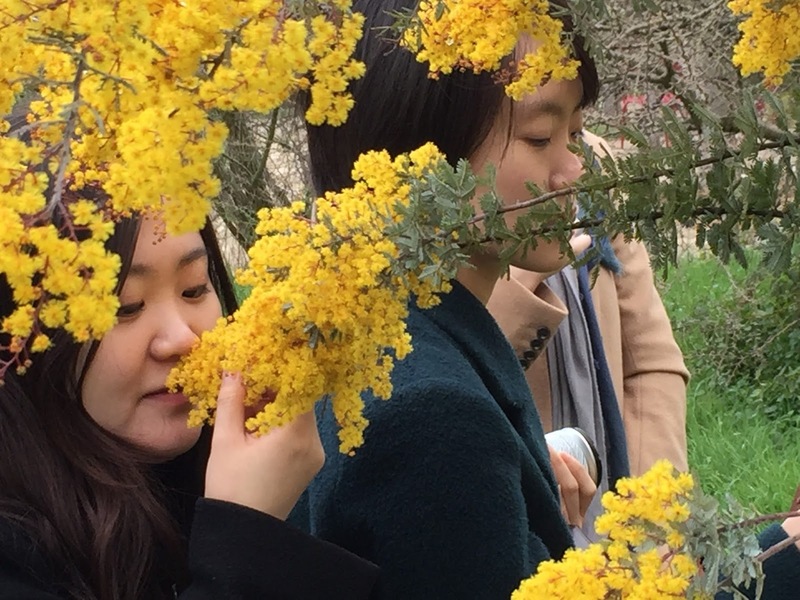 We didn’t just create the flavors; we collaborated on the olfactory experience of the museum. We partnered with trusted partner, Caroline Fabrigas of Scent Marketing to create and diffuse the olfactory experience. Perfumer Gregoire Hausson, in our laboratory in the Netherlands, was part of the team who worked on the fragrances featured in the museum collaboration. Wading over to the MOIC’s Sprinkle Pool, might affect your “feel-good” neurotransmitters like serotonin as the scent of our Vanilla and Sugar fragrance envelopes you. It’s a faceted fragrance, which evokes all the colorful complexity of candy. The blooming fruit notes are designed to make you feel happy while the sweet cotton candy aspect, enhanced by the floral ones, is crafted to cause a surge of positive emotions. Inside their Dripping Cone Room, there’s a hidden memory to unlock: Perfumer Gregoire Hausson used his favorite food memory from childhood winter holidays as inspiration to create the waffle cone scent wafting through the room. He loved eating waffles. A warm waffle topped with dark chocolate was his favorite on a chilly day. At the heart of our company, we are fueled by a sense of discovery, constantly asking “what if?” That passion for exploration drives us to create groundbreaking sensorial experiences. We are proud to have worked on the Museum of Ice and hope you enjoy it. What flavor or scent would you want to experience in an immersive experience like the MOIC? International Flavors & Fragrances’ facility in the New Jersey township of South Brunswick was officially certified as a GreenCircle Certified LLC, Zero Waste to Landfill facility, making it the only facility of its kind in the flavor and fragrance industry to achieve GreenCircle's zero waste status. 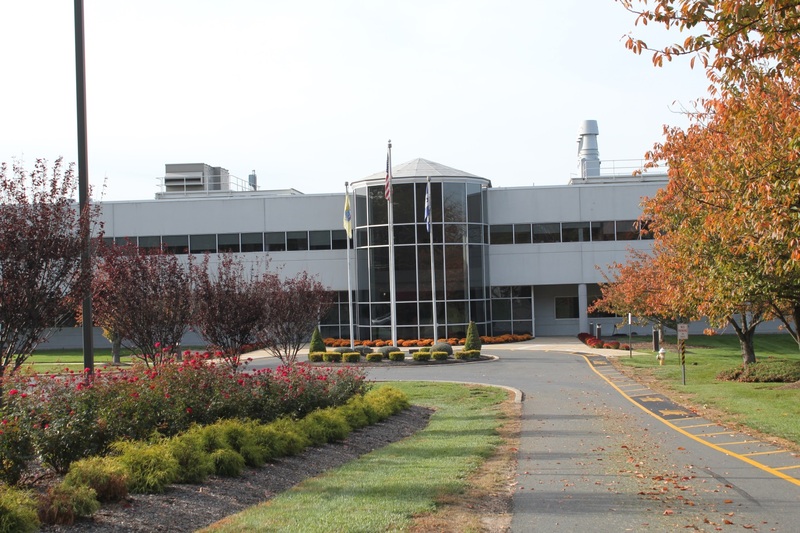 International Flavors & Fragrances facility exterior on 150 Docks Corner Road in Dayton, N.J., achieves Zero-Waste-To-Landfill Certification from GreenCircle, setting a new standard for the industry. The zero waste to landfill program aims to spark innovative solutions for waste diversion. This certification affirms that our IFF facility in South Brunswick does not send any waste- directly or indirectly - to its local Rahway, New Jersey landfill and diverts waste by using the 4R’s- reducing: reusing, recycling, and recovering (energy from waste). This process creates value from discarded materials and champions IFF’s circular economy ideal. 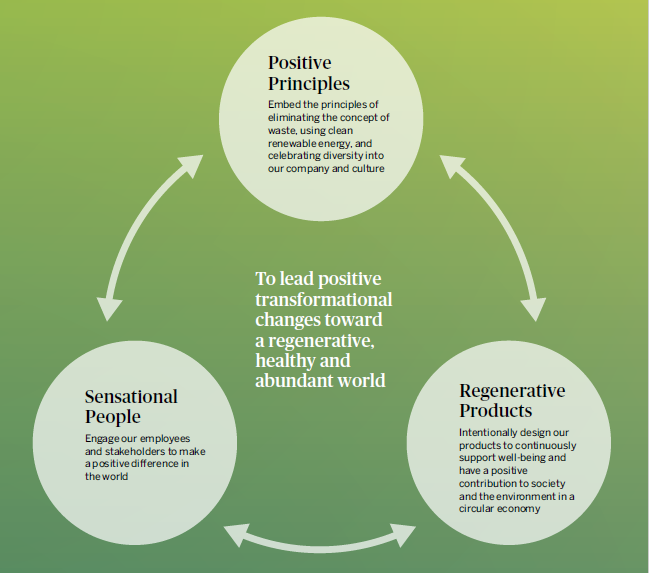 Through our established focus on circular economy, our leadership in organizations such as the World Business Council for Sustainable Development, and our commitment to the Paris Climate Accord and our alignment with the United Nation’s Sustainable Development Goals (SDGs), we embrace how integral sustainability is to how we do business at IFF. We are committed to actualizing transformational changes in areas we touch throughout the world. This is the only way that we can safeguard the health of our planet. Smoky and sweet, calming and grounding, vetiver is used in a variety of fine and consumer fragrances as well as in teas and other foodstuffs. As one of the most prominent and sought after crops in Haiti, it is also a staple to the Haitian economy and vital to smallholder farmers, their families and their surrounding communities. IFF and Unilever, in collaboration with Oxfam Great Britain, Heifer International and the Ford Foundation, launched Vetiver Together on July 25th, 2016, a two-year pilot program aimed to improve the livelihoods of the vetiver farming communities, strengthen IFF’s vetiver supply chain and increase environmental conservation. In the southern regions of Haiti, farmers are almost exclusively dependent on vetiver for their income. 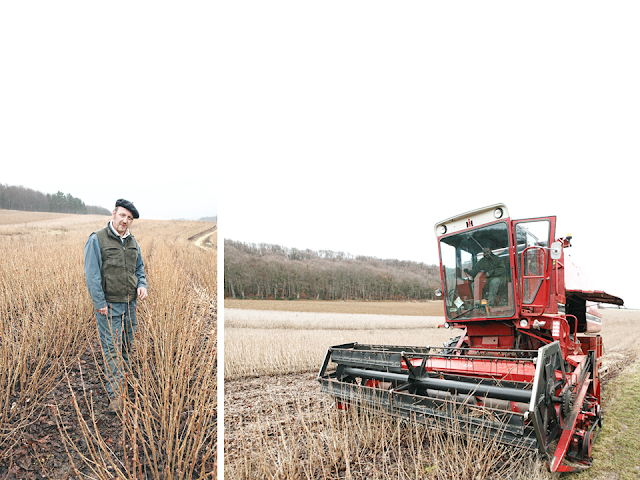 A crop that is only harvested once every 12 or 18 months, the timing of the crop puts enormous economic pressure on the farmers – often leading them to harvest the roots before full maturity. Even though this practice may address an immediate financial need, ultimately it leads to low prices and poor oil yields, soil loss and deforestation. To enhance the livelihoods of the vetiver farmers, the Vetiver Together initiative addresses three main areas of need, which are food security, women’s empowerment and reforestation. 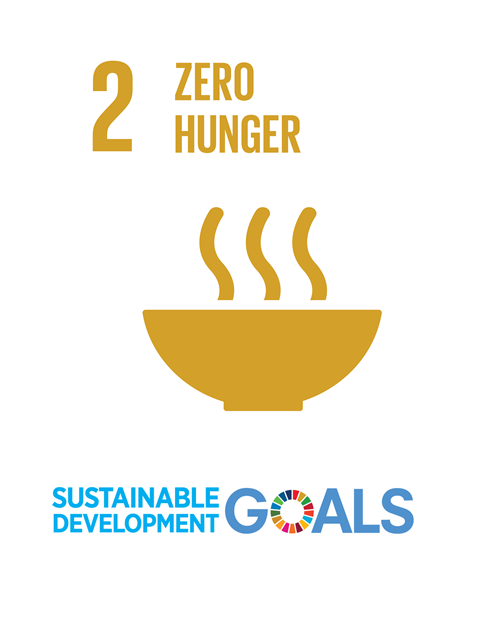 Addressing these needs will avoid premature harvest, and thereby increase the quality of life of the local farmers. By partnering with Heifer International, IFF is working with smallholder farmers within our vetiver supply chain to implement the proven methodology and the unique approach of the Placement of the Animals ceremony. 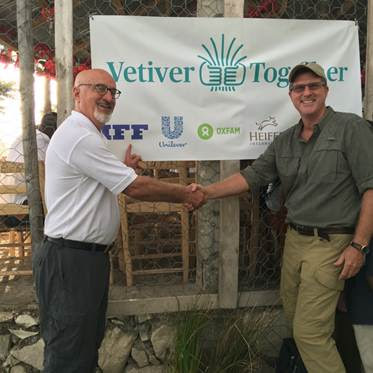 In September of 2016, farmers in Haiti achieved the first milestone with Vetiver Together. Representatives from IFF, Unilever, Heifer International and UniKode joined the local community for the first ‘Placement of the Animals’ ceremony. Goats, chickens, turkeys and seeds were given to 75 vetiver farmers and their families for breeding to help supplement incomes and to increase food security during lean times as the vetiver root reaches maturity. Beyond tangible resources, the Haitian farmers received invaluable training in crop and livestock production (for food and sale), soil conservation and improved nutrition. As part of Heifer’s practice of Passing of the Gift (POG), scheduled for later this year, the first female offspring of each livestock, along with training and seeds, will be passed on to another family in need, doubling the impact of the original placement. This cycle will continue with the POG recipients, who then pass their offspring on to others in the community. "I am more than happy and thank Heifer, Unilever and IFF very much for such amazing gifts,” said Cidieula François, whose family received livestock and seeds after she completed the training sessions. “I promise to take care of the animals to the best of my ability. This is the very first time vetiver farmers are being thought of (by outside groups) - and not only for what we can offer." More than a ceremony, this event on September 7th was a celebration. Creole music blasted, people were excited to get the animals and seeds, yes – but it was more than that. The joy and pride on the faces of all who participated was a sign of good things to come. It even rained - definitely good luck for a planting community! However, after the rain came, so did an unforeseeable natural disaster: Hurricane Matthew. In October of 2016, one month after the initial Placement of the Animals ceremony, the worst storm to hit Haitian soil in over half a century touched down and destroyed the homes of thousands. The strong category 4 winds of Hurricane Matthew knocked over fruit-bearing coconut and mango trees, significantly harming Haitian food supply and revenue. However, the resilient vetiver crop remained virtually unharmed because the deep roots held firm underground. Despite the losses caused by the hurricane, 62% of the donated livestock survived, a rate higher than surrounding areas not covered by the project. According to Heifer, this is likely due to improved animal shelters, trainings, and interventions by community vet agents. Although the hurricane provided a challenge, the Vetiver Together team pushed on and continued to expand the program. In April of 2017, an additional 75 families received animals, as well as seeds, during the second Placement of the Animals ceremony. Amidst the ruins of the storm, animals were given to new families in order to provide resources to a greater percentage of the community- a ray of light in a time of darkness. Additionally, the Passing of the Gift ceremony is scheduled for later this year, and we hope that this cyclical effort will one day secure the livelihood of all the Haitian farmers in the region. Although the damage caused by Hurricane Matthew is immeasurable, Vetiver Together strives to provide a hopeful future for vetiver cultivation and farmers alike. Additionally, Heifer International has pledged to contribute more funds to the project, which now has been extended to the end of 2018. The nature of the Passing of the Gift ceremony means that Vetiver Together is much more than a temporary solution. Families will continue to receive livestock and seeds as the resources are passed on to other members of the community, while farmers will no longer rely solely on the vetiver harvest for their income. Because of the contributions made by the Vetiver Together project, vetiver crops are scheduled to harvest at the correct time, depending on the weather. IFF and all other organizations involved remain committed to the fight to restore the Haitian land and the lives of its people. Today we launched Tastepoint by IFF – a new company designed to service the dynamic middle-market customer in North America. Tastepoint by IFF represents the merger of David Michael & Co. and Ottens Flavors, two esteemed companies with long histories in the industry and reputations for outstanding service and products. The Paris Climate Accord - We’re still in! IFF has a long history of embracing a sustainable approach to the way we do business. We attended the signing of the Paris Climate Accord and we continue to fully support the United States adhering to and participating in the actions prescribed in it. Today we expressed our support for the Accord in a letter published in the Wall Street Journal. 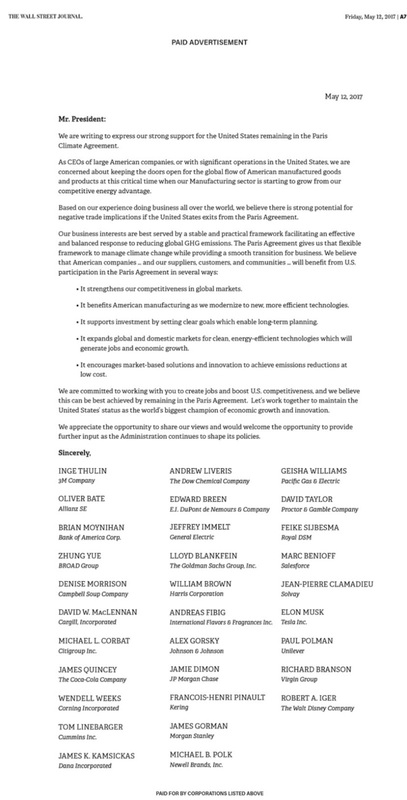 We are proud to join other leaders in this space and committed to creating the future together. Given our focus on the circular economy and vision to lead transformational changes, we see that the transition to the low-carbon economy is unstoppable. Acting on climate change is part of the United Nations Sustainable Development Goals. The impacts of combating climate change can have a positive effect on our value chain including good health, clean water, safe communities, and the natural ingredients key to our business. Due to the nature of what we do, we must be sensitive to the needs and desires of consumers – most of whom are demanding supply chain traceability & transparency, natural ingredients that are responsibly sourced, and companies that respect the environment and act in a socially and environmentally responsible way. This approach is also fully embraced by our employees and is part of our employee value proposition – they want to work for an environmentally responsible organization. 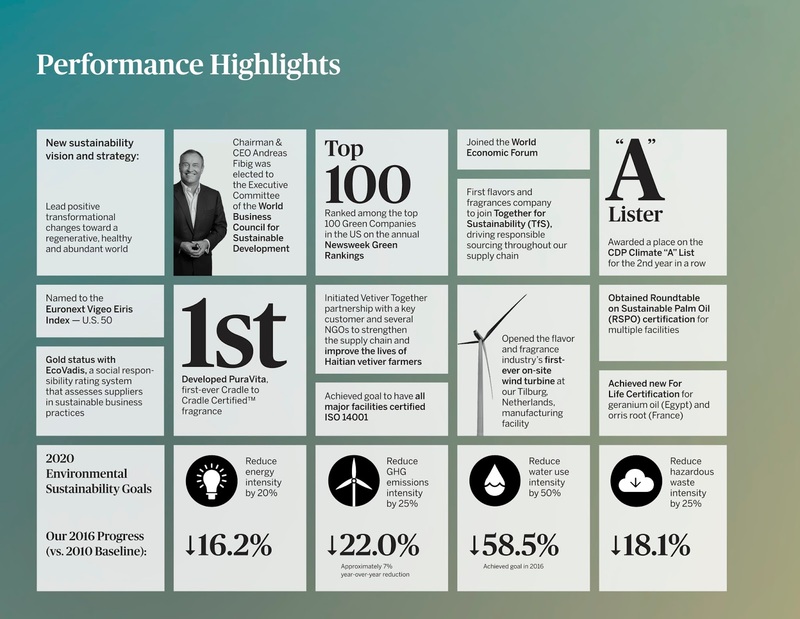 As a leader in renewable energy, we believe that the business case for addressing climate change is the biggest opportunity for the foreseeable future. 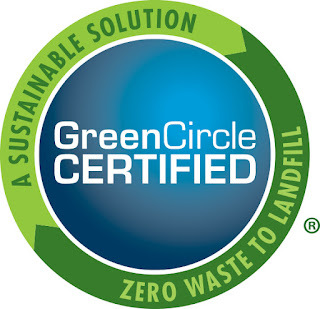 Our customers also rely on our commitment to being socially and environmentally responsible. Our business depends on our upholding this obligation. Further, we will continue to demand the same high standards from our vendors, suppliers, and partners. We’ve said it before and we will say it again: IFF is committed to reduce greenhouse gases and help safeguard life on our planet. It is both the right thing to do and excellent business. Our commitment is unwavering. When it comes to sustainability, we won’t accept the status quo. Timothy M. Webster, VP, Global Business Development at David Michael & Co., an IFF company, was honored with the Dr. Richard L. Hall Distinguished Service Award by the Flavor & Extract Manufacturers Association (FEMA). He was presented the award at the 2017 Annual Business Meeting & Leadership Conference in Naples, Florida, on May 8, 2017. “I am humbled to have been honored with this recognition and am indebted to all of my industry colleagues for their support throughout the years,” said Timothy. 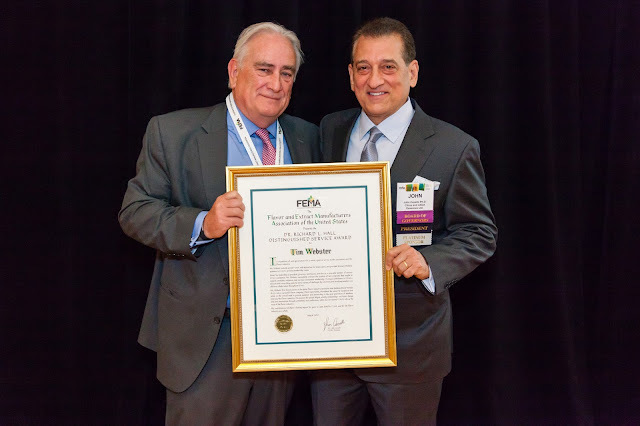 As FEMA’s foremost honor, "the award pays tribute to those who have shown outstanding dedication to the advancement of our industry and to the Flavor and Extract Manufacturers Association. The award is only intended for those whose contributions meet the highest standards of excellence and distinction." “We are proud of Tim Webster and his contributions to the industry. I am thrilled at the level of talent that is now part of IFF” said Matthias Haeni, IFF Group President, Flavors. Notable past recipients include Otho Easterday, Ph.D., IFF (1998) and Kenneth R. Schrankel, Ph.D., IFF (2014). Passion and pioneering spirit have always been part of our DNA. Our people have pushed the boundaries to deliver innovative firsts for decades. Today, we honor this legacy as we look to the promise of what comes next. Please join us in recognizing Timothy’s long and distinguished service on our LinkedIn Page. 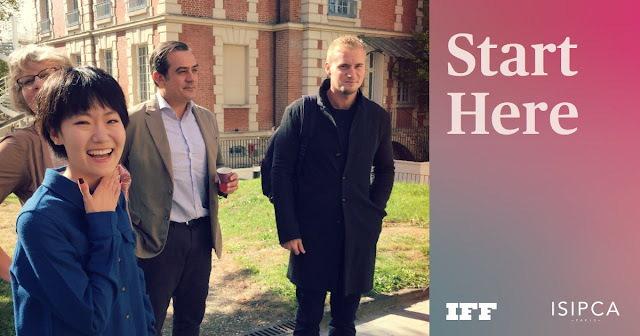 "We are pleased to report that our first quarter sales growth was strong and in line with our expectations,” said IFF Chairman and CEO Andreas Fibig. Explore how we did in the infographic below. Investors are invited to join us for a live webcast tomorrow, Tuesday, May 9, 2017, at 10:00 a.m. EST to discuss first quarter financial results with our management team at ir.iff.com. 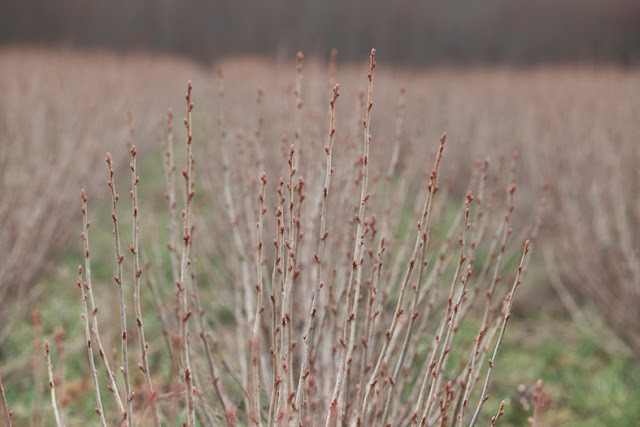 In the wake of the release of our 2016 Sustainability Report, Circular by Design, and its accompanying video, we are thrilled to announce that IFF-LMR Naturals has achieved its 9th IMO (Institute for Marketecology) For Life Social Responsibility certification for our Burgundy Blackcurrant bud ingredient supply chain. The For Life certification is a global standard for corporate social responsibility. Since 2014, IFF-LMR has worked with IMO, a leading international quality assurance provider for organic, ecological and social standards, to certify its sustainable approach to its strategic supply chains and operating platforms. Today we are proud to have 7 For Life certified supply chains for our natural ingredients; Rose harvested in Turkey, Vetiver from Haiti, Geranium Oil from Egypt, Patchouli and Ylang Ylang from Madagascar, and in France, Orris and Blackcurrant Bud. Additionally, we earned certifications for 2 operation sites, located in Grasse and Aumont-Aubrac. Commit to corporate social responsibility by orienting the business model to responsible practices. Respect human rights and offer decent working conditions to improve the well-being of workers. Respect the environment, biodiversity, and climate by taking responsibility for one’s environmental impacts and progressively implementing sustainable production methods. Act for sustainable local development through creating local jobs and developing the local anchorage of the company. Integrate responsible and ethical sourcing practices based on a respectful dialogue with its suppliers and work with partners who favor responsible social and environmental practices. Support representation and participation mechanism in producer operations to promote democratic values. In east-central France, lies Burgundy, renowned for its vineyards and wines, where a tiny fruit called blackcurrant grows. Farmers like to say the earth here "is in love" as it clings to their feet. Since the 1960s, they have cultivated the buds of the blackcurrant branches for use in perfumery. The worldwide annual yield of production amounts to only 25-30 tons. We have long standing, 10-year partnerships for a small portion of the total yield with local farmers, with whom we have collaborated to introduce mechanical harvesting techniques to enhance production and longevity of the agricultural work. 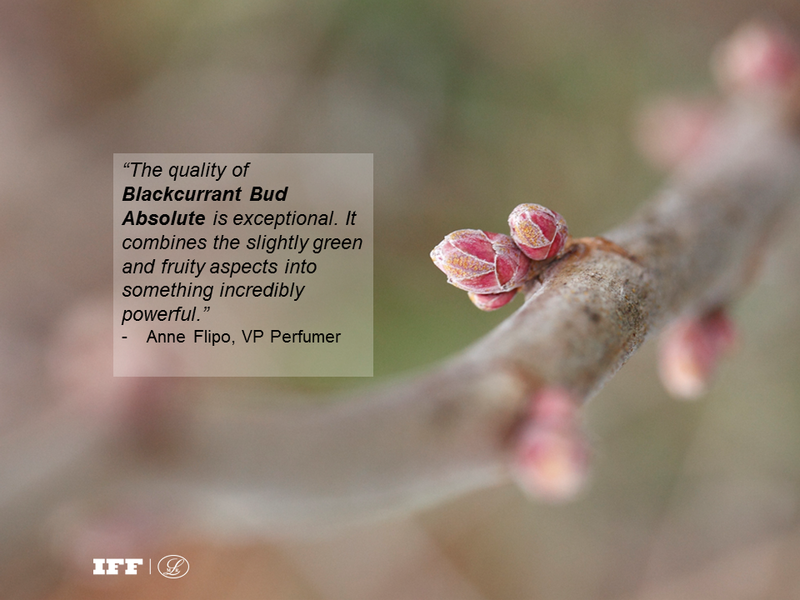 As the buds are processed and extracted, they make the journey from our facilities in Aumont Aubrac to our facility in Grasse where we transform them into an absolute, which is then refined molecularly to become the powerful, fruity, Blackcurrant Bud Absolute that perfumers prize. 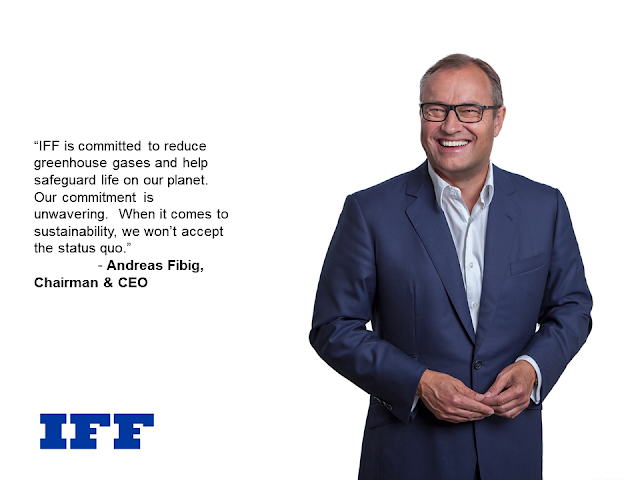 We believe that companies such as IFF have an important role to play in advancing sustainable development. IFF has embraced and actively supports the United Nations Sustainable Development Goals (SDGs) and has worked to identify how these goals relate to our sustainability strategy and business, as well as where our efforts can provide the most value in advancing these goals. 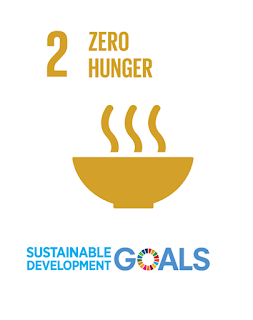 We promote sustainable agriculture and food security through our responsible sourcing programs in alliance to the UN SDG 2nd Goal to end hunger, achieve food security and improved nutrition and promote sustainable agriculture by 2030. 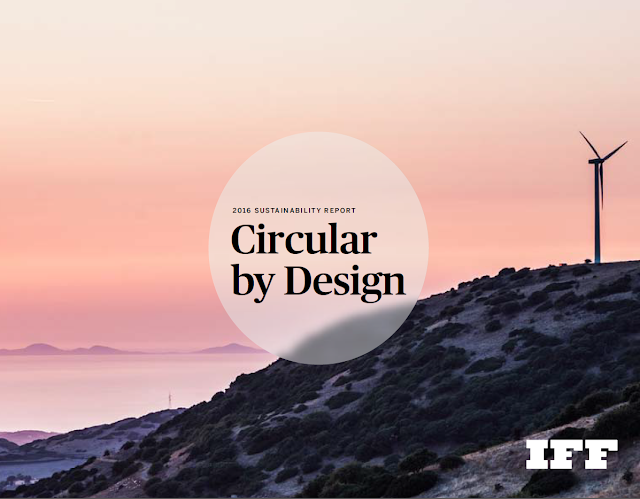 Download our 2016 Sustainability Report to learn more about how we are doing our part to address these challenges.